DCW proposes a three-way classification. At one extreme are the unacceptable, pointless, and often very short term (or ‘diabolic’) uses, which should be banned. At the other extreme are necessary or sustainable (‘fantastic’) uses, such as infection control, light-weighting cars and aircraft, and reducing food waste. In between is the largest category, which he labels as ‘indeterminate’. This can be further broken down into problem plastics, and replaceable plastics, which should both be phased out; and hard to replace plastics, where the focus should be on redesign and consolidation into a smaller number of truly ‘easy to recycle’ plastics used for ‘higher environmental value’ applications, such as preventing food waste. China’s recent import ban has thrown Western recycling systems into disarray. DCW has participated as CIWM President in three regional open meetings to address the ‘China recycling crisis’. 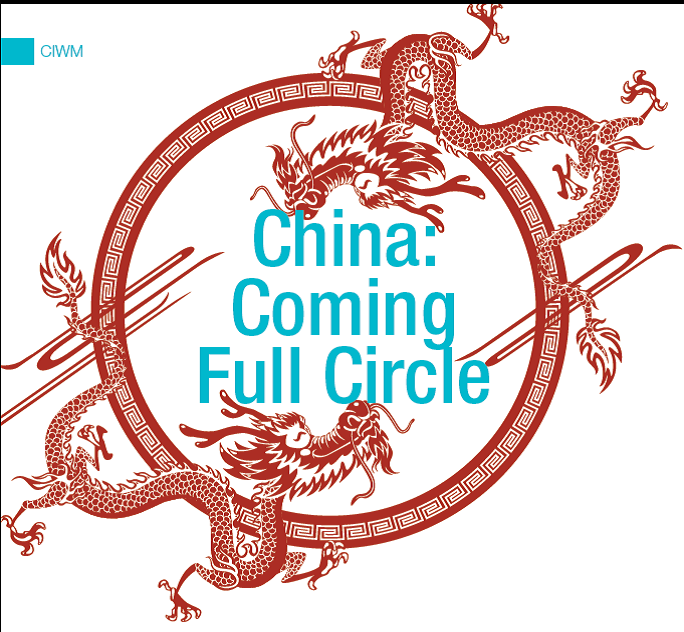 His April column for the CIWM Journal has written up his presentation, providing a personal perspective on how he has seen China’s internal resource and waste management systems develop over the last 40 years. Arguably, its 1970s system could be viewed as an early example of a circular economy. The transition to ‘market -oriented’ operations led to economic growth being prioritised over environmental protection. 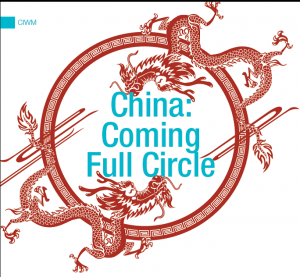 But the current ‘National Sword’ campaign is just one symptom of a fundamental change, suggesting that, going forward, perhaps China really could lead the world in transitioning to a circular economy. DCW’s February column for the CIWM Journal focused on the topical subject of marine plastics. He reported back on ‘Oceans 21’, the latest Development Finance Forum organised by the German Development Bank KfW, where he led a workshop on marine litter. The conclusions were clear: the amount of plastics entering the oceans is at least an order of magnitude greater than estimates of the visible quantities in the oceans or on beaches – so the first priority is to ‘turn off the tap’. And the most effective way to do that is to extend municipal solid waste collection in developing countries to all people and to eliminate uncontrolled dumping and burning; our best judgement was that this could reduce the weight of plastics entering the oceans by 50-70%. The German Development Bank KfW’s annual international Development Finance Forum will this year focus on the world’s oceans: Oceans 21 -Solutions for a sustainable marine future. Professor David C Wilson has been invited as the opening keynote speaker on one of the three parallel strands of the Forum, focusing on marine litter and marine plastics. The working hypothesis is that avoiding marine litter requires predominantly measures to reduce land-based sources, and of these the largest contributor by weight is inadequate solid waste management in low and middle income countries. DCW will suggest that extending waste collection to all, and eliminating open dumping of wastes, in these countries would likely reduce plastics entering the oceans by more than half. More details will follow the Forum, which is to be held in Frankfurt on 21-22 November 2017. An international workshop on community resilience and waste management will be taking place in The Gambia 25-30 April 2017. Organised jointly by the Arkleton Trust and WasteAid UK, the event will involve communities from The Gambia, Senegal, Ethiopia, Kenya, Malawi, Uganda, Cameroon, Nigeria and India. WasteAid UK is currently undertaking David Wilson’s Presidential Project for the Chartered Institution of Wastes Management (CIWM), to compile practical guidance on how to provide community level waste management and how to develop waste and recycling livelihoods. The workshopwill allow this guidance to be tested and developed further, ensuring it fits closely with the needs of the target users. The second part of the workshop will cover waste management as a key tool for resilient communities. Waste that is not managed can become a hazard for people and wildlife. With simple recycling skills, however, people can keep their communities clean, create jobs and earn an income. WasteAid UK and other recycling specialists will be sharing recycling skills such as making charcoal from woody waste, fertiliser from food waste, and construction materials from plastic waste. WasteAid UK previously set up the Brikama Waste Reprocessing Centre in 2016 in partnership with Women’s Initiative The Gambia and is currently developing a Guide to Community Waste Management, with funding from CIWM, which will be reviewed by workshop participants. Mike Webster of WasteAid UK said: “Improving waste management is vital for communities to prosper and stay healthy. The event will allow skill sharing between community waste managers located in geographically diverse parts of sub-Saharan Africa, and will help WasteAid UK improve the techniques that turn waste into an economic opportunity”.